In our last post, we detailed how important it is for people to get help with anxiety disorders, especially because they can negatively impact overall physical and mental health. However, it’s often difficult to know where to start. In our second post on anxiety, we will focus on how to combat anxiety and what to expect when seeking treatment. If you think you may be suffering from anxiety, you should share your concerns with your primary care physician. A physician can help determine if the symptoms are due to an anxiety disorder, a medical condition, or both. If your physician diagnoses an anxiety disorder, the next step is to see a mental health care professional. You and your doctor will then work as a team to develop the best treatment plan. Treatment for anxiety can involve medication, therapy, stress reduction, coping skills, family involvement, or a combination of these. A mental health care provider can determine what type of disorder or combination of disorders you have, and if any other conditions, such as grief, depression, substance abuse, or dementia are present. If you have been treated before for an anxiety disorder, you should tell your provider about the previous treatment. Be sure to detail what medication was used, dosage, side effects, and whether the treatment was helpful. If you attended therapy sessions, you should describe the type, how many sessions, and whether it helped. Sometimes individuals need to try several different treatments or combinations of treatments before they find the one that works best for them. It is important to be patient and committed to treatment efforts until you find what is best for you. Medication will not cure anxiety disorders, but it can keep them under control while you receive therapy. Medication must be prescribed by physicians, often psychiatrists or geriatric psychiatrists, who can also offer therapy or work as a team with psychologists, social workers, or counselors who provide therapy. The main medications used for anxiety disorders are antidepressants, anti-anxiety drugs, and beta-blockers, which control some of the physical symptoms. Below are several points to remember when beginning these types of medications. Learn about the effects and side effects. For example, ask when the medication should begin to help and in what way. Also ask about what negative effects you should look out for. Tell your doctor about any other drugs (both prescription and over-the-counter), herbal supplements, or alternative therapies you are taking. Find out when and how the medication should be stopped. Some cannot be stopped abruptly and must be tapered down under a doctor’s supervision. Some medications are only effective if taken regularly. Be sure to ask what you should do if you accidentally miss a dose. Therapy involves talking with a trained mental health professional, such as a psychiatrist, psychologist, social worker, or counselor, to discover what caused the anxiety disorder and how to deal with its symptoms. Therapists can help people change the thinking patterns that contribute to their fears and the ways they react to anxiety-provoking situations. A therapist can also teach new coping and relaxation skills and help resolve problems that cause anxiety. 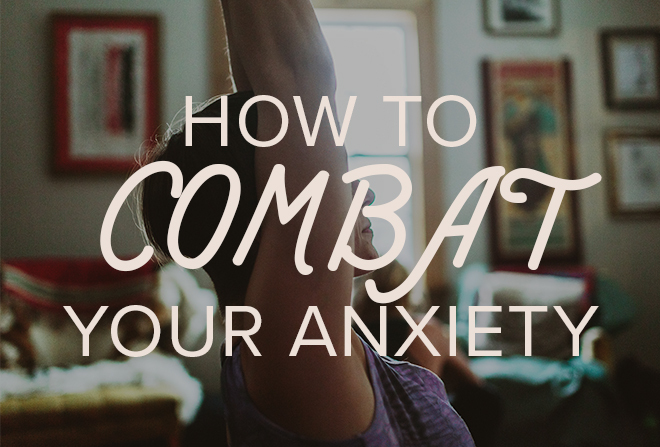 What else can I do to help relieve my anxiety? Acknowledge worries and address any fears that can be handled. For example, if an individual is worried about finances, a visit to a financial planner may be helpful. Talk with family, a friend, or spiritual leader about your worries. Sometimes voicing them can be a big relief. Adopt stress management techniques, meditation, prayer, and deep breathing. Because anxiety is so tied to a physical response, relaxation techniques can be very helpful. Exercise regularly and when stress builds up. Even a short walk can help alleviate tension and anxiety symptoms. Limit news of current events. It is important to stay current, but too much negative news can contribute to anxiety. Allow time for treatment to work. Treatment is not a quick fix. It takes time, patience, and perseverance.